‘Technicolour dreams are all I see, technicolour dreams of you and me…’ Could that lyric come from any year other than 1968? It’s a film already playing inside your mind, the wistful long-haired teen-girl in Bridget Riley Op-Art dress slipping through a false-colour trip-treated enchanted forest. And that’s just one title from this lost trove of what the liner-notes accurately define as ‘bubblegum psychedelia’. Not the hard-edged manic ‘Nuggets’-style USA acid-garage-punk (apart from their early shot at the Blues Magoos’ “We Ain’t Got Nothin’ Yet”), more the kaleidoscopic whimsy of its UK ‘sunny cellophane skies’ variant. It’s only the name beneath the song-titles, and the subsequent riffing twelve-bar Quo notoriety that tends to devalue the historic integrity of this stuff. 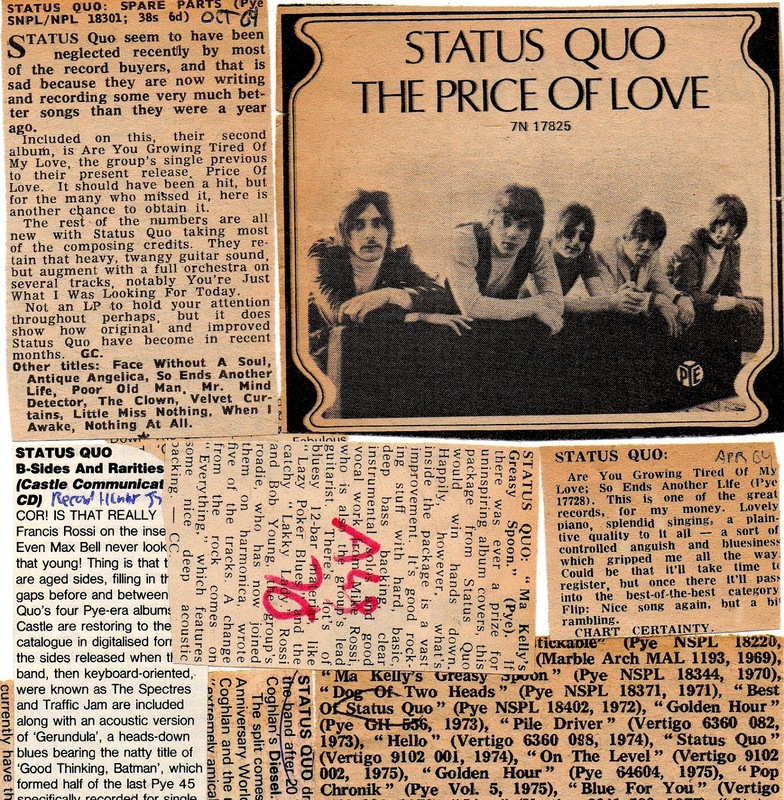 In fact Rick Parfitt himself admits that this is Quo ‘before they’d invented themselves.’ A group who stumbled into the charts by happy accident with “Pictures Of Matchstick Men”, and spent the next couple of years trying to replicate its success – most obviously with “Black Veils Of Melancholy” which randomises the guitar-hook only slightly and shifts the phase-control along a bar or two. And of course, they’re not all stone-gems, although some are – “Ice In The Sun”, “When My Mind Is Not Live”, or “Make Me Stay A Little Bit Longer”. Then there are contract-fillers when inspiration fails, covers of the Lemon Pipers’ “Green Tambourine”, Tommy Roe’s “Shelia”, or the Bee-Gees’ “Spicks And Specks” (twice, the second one abruptly curtailed by a voice cutting in ‘alright, come on’). This triple-set opens with that first ‘Picturesque Matchstikable Messages’ (1968) album plus all the a-&-b sides made under their earlier incarnations as The Spectres (a ridiculously over-the-top “I, Who Have Nothing”), and Traffic Jam (“Almost But Not Quite There”). They then spend the other two CD’s evolving towards their next career-phase, with the contents of three more complete vinyl albums, plus some lost archive rarities from the 1981 and ’98 vaults. Ain’t CD wonderful? 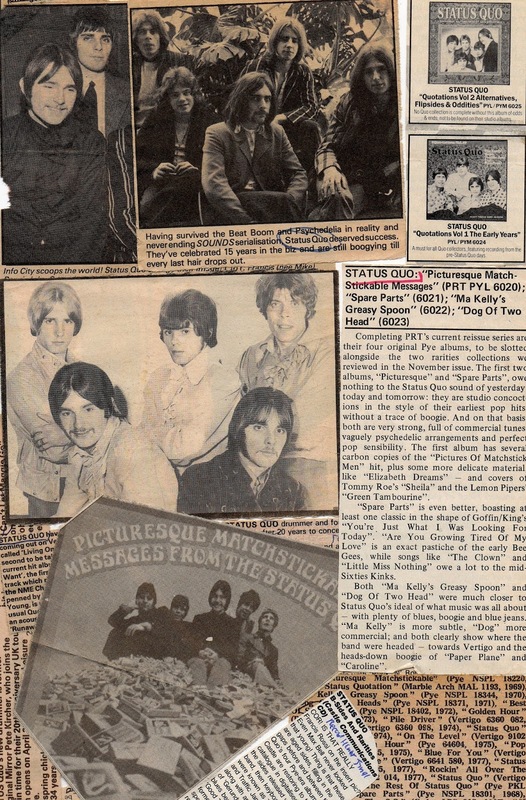 Through the prettified, more self-consciously orchestrated harmonies – and less fun, of ‘Spare Parts’ (Sept 1969), developing their song-writing skills with Rossi, Parfitt, roadie Bob Young, and frequently overlooked bassist Alan Lancaster all strongly contributing. Until their own “In My Chair” rightfully returns them to the charts. Nudging them into the more Blues-Heavy ‘Ma Kelly’s Greasy Spoon’ (Sept 1970) with “Spinning Wheel” already recognisably ‘Quo’, plus the entendre-strewn “Lazy Poker Blues”, and “Is It Really Me” extending to a full 9:30min jam. 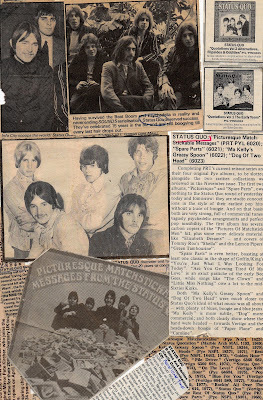 Then ‘Dog With Two Heads’ (Dec 1971) with the downright weird “Gerundula”, and chart-hit “Mean Girl”. But me?, I’m flipping back to album one for ‘I see your shadow slipping through a silver glade, tip-toeing over crimson sands, moving me onwards into a sea of jade, leading me gently by the hand…’ Dayglo psychedelia at its most bubblegum trip-tastic. 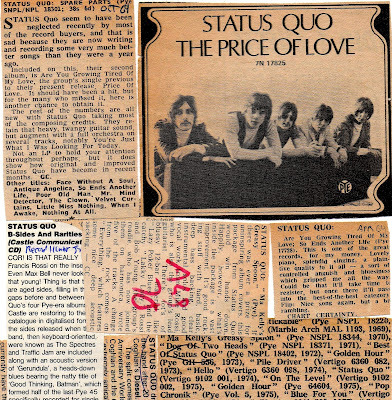 If Status Quo had terminally totalled their Transit van into a motorway support bridge in the late-sixties, or if they’d deep-fried their brains to iconic LSD vegetables like Syd Barrett, or Brian Wilson, then chances are their cult-credibility would now be critically unassailable, with “Pictures Of Matchstick Men” up there with the Smallfaces’ “Tin Soldier”, Pink Floyd’s “Point Me At The Sky”, or Smoke’s “My Friend Jack” as quintessentially pristine examples of Freak-Beat. Then again, had their 747 fallen out of the sky in the mid-seventies they’d be remembered as monolithic metal monsters, the London variant of martyred Lynyrd Skynyrd perhaps, by those metal-heads who get dewy-eyed with nostalgia for far lesser entities such as Saxon or Uriah Heep. 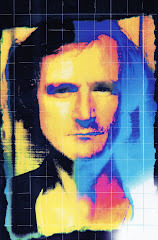 John Peel was an early champion, Bob Harris on ‘Old Grey Whistle Test’ too. Trouble is, they are the band who never forgot how many bars make twelve. 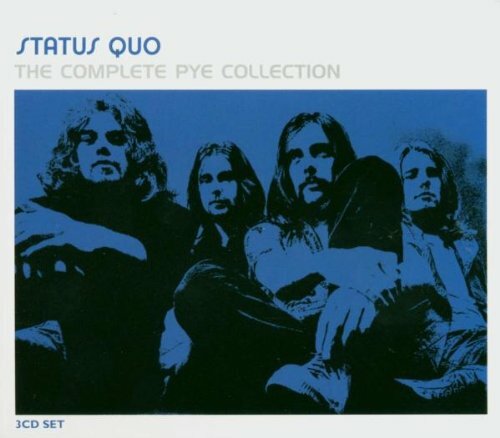 Everyone knows what a Quo record sounds like, those paralytic licks that go chinga-chinga-chinga at mind-numbing repetitions. No other group is so readily identified by so instantly recognisable a sound. It’s also universally adaptable and can be grafted onto just about any song you care to think of – as they prove through personalising a series of oldsters such as “The Wild Side Of Life”, “The Wanderer” – and that old John Fogerty track “Rockin’ All Over The World”. Not that all Quo hits necessarily conform to blueprint. ‘Cos they don’t. Think “Marguerita Time”, “Living On An Island”, or “In The Army Now”. But then again, enough of them do to give substance to the image. Sure, maybe their career’s long since gone beyond its commercial or credibility peak. Too bad. No defiant apologies required. Quo were hip, for a while, something we may need to remind ourselves of every now and then.